Finally, after almost a month in the coastal tourist town of Varkala we are ready to leave and set off on our India adventure! We only intended to stay here for one week, possibly two, but the relaxing atmosphere here reminded us of how much we needed a good rest. Our days have passed in a sun filled, tropical beach blur. A kind of temporary neo-colonial life of gin and tonics, sunsets and cooling swims in the Arabian Sea. We also had to wait out the Christmas, NY period as prices across Kerala quadruple and accommodation can be hard to come by, then there was the parcel, followed by Sheena’s birthday. We had a great Christmas here and a mad new year (somehow we avoided being hit by fireworks). We tried to leave today but overindulged with our goodbye beers last night, instead we are packed up and ready to leave bright and early tomorrow morning. Part of our reluctance and hesitation to set off comes from our slight nervousness and fear of being unleashed onto the roads of India. It is easy here but that is not why we have come… our first day is a simple 40km ride north along the coast, the only problem is we have to enter a city of 380,000 – small fry for India but it will be congested and hectic nevertheless. Our departure was further put into doubt when we met a couple who were selling their Royal Enfield bullet motorbike, a steal at £650… We spent at least three days deciding whether we could justify it, in the end we decided no… we had a mission and that was not part of it, we can save motor biking around India for another time (I’m sure in a week or two we will regret this decision). 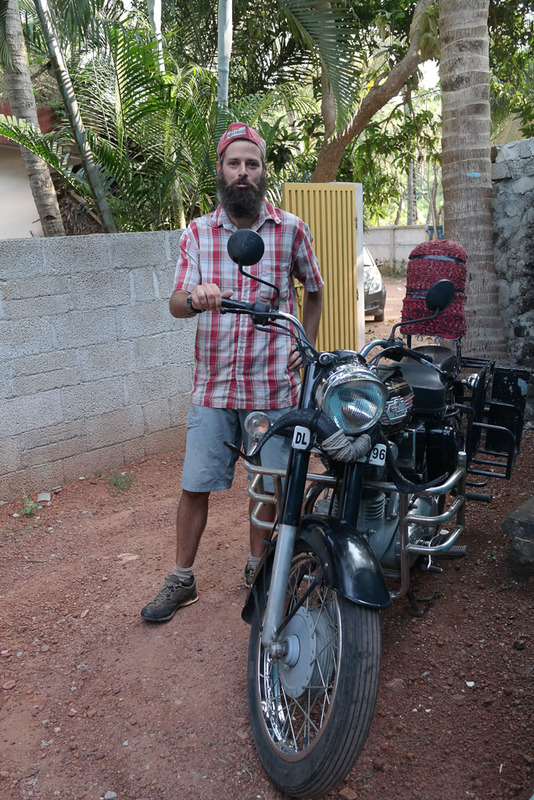 We have our first 2 weeks planned, our route will follow the coast for a few days before heading up into the western Ghats (the mountains that run north/south in southern India) and up in the middle of the country towards Mysore. Come on India, lets see what you’ve got! Many mislabeled birds much to Sheena’s dismay! The natural history museum had some strange displays. ← Our Arrival in India!